Today we toured a big, beautiful plantation. It was amazing conjuring up stories about every inch of the place. It was big and beautiful and strong with such a big history. But, as we know, not all stories of life in plantations are as wonderful as they externally seem. I had the good fortune of talking with a really wonderful woman. She took me back to when she was born into a cotton producing plantation in Mississippi. Every day, she would work from 5:00 in the morning until 6:00 or even 7:00 in the evening. She started working the land when she was just eight years old. Every day, she and her father would race to see who could pick the most cotton. It was great fun, until she realized, "Wait a minute..."
She told me a few stories as well. When she would go off to be educated, her mother would give her lunch and tell her to eat by the back door of the main house. She said no. Her mother asked her again, and she said no. Finally her mother gave up and begged her, "Please? For me?" That is when she went off with her lunch and plopped herself down and ate her lunch on the front porch of the main house. She told me that there was a little girl there, about her age, who was the daughter of the plantation owner, that lived there. One day, she said hello to the little girl. The plantain owner said, "When you speak to my daughter, you will address her as ma'am. And that was when she dropped her tools and walked back to the quarters she was living at. At the age of fifteen, she and her mother were driven out of Mississippi to California by the KKK. There she had a better life. She got herself educated, and adopted two wonderful daughters. She now has a delightful five-year-old grandson and an incredibly intelligent ten-year-old grandson who has published two books! But what was really incredible about her was her strength. She went through what she did, and hated it, but she does not hate people of a different color, she does not hate people who discriminate, she even does not hate the people who tried to make her their slave. She genuinely loves people. And I love her for that. She said to me that she was afraid to go to the plantation. She was afraid it would bring back hateful memories. But she said that I had helped her. That I was the one who made her day better, and she thanked God for me. She said, "You are a beautiful child of God, and don't let nobody tell you any different. Don't let anybody tell you my story, and say that it's true, because you heard it from me. Don't let nobody lie about something they didn't go through themselves." 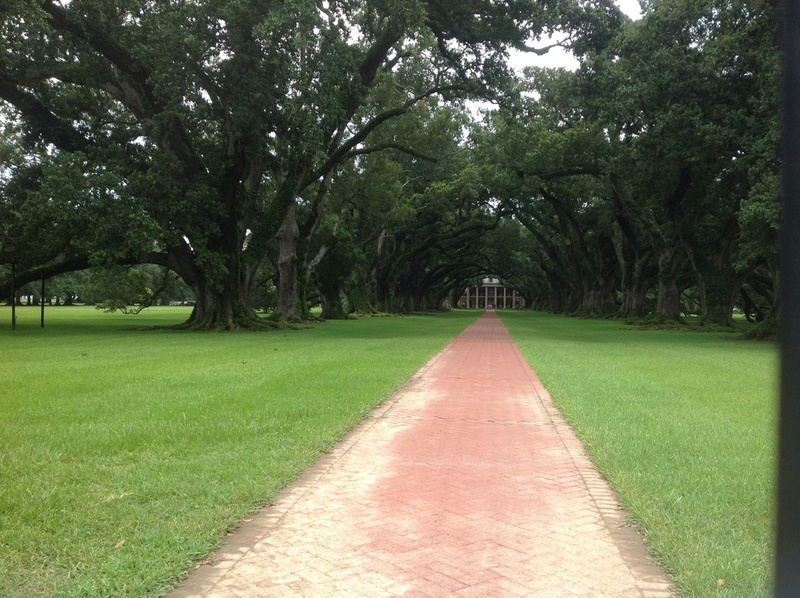 The plantation really was big and beautiful and strong with a big history.